During my shoots I'm always looking for creative compositions to combine color and the details from my client's wedding day. For this image I used the wedding rings and four pool balls to announce the wedding date. 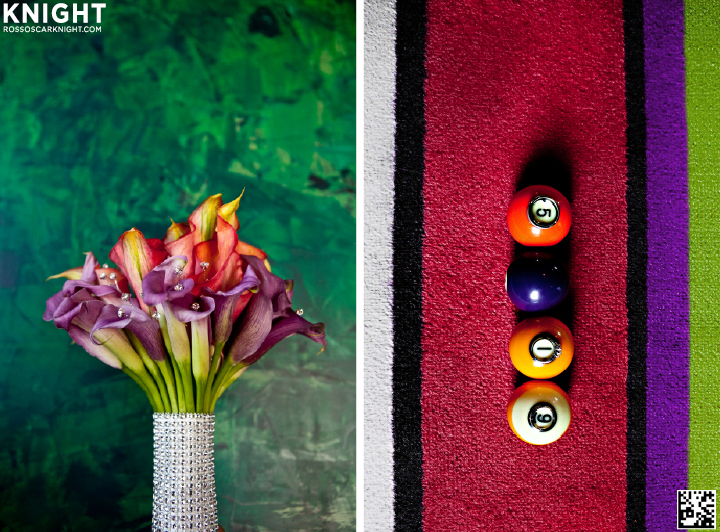 I noticed the carpet in an adjoining room matched the flowers so I shot the rings there. For beginning photographers: Always find a way to show your clients a unique perspective of their details that they would that they would not see themselves. That's what you are there for. It will pay off with repeat clientele and referrals!! Let Her Modeling Portfolio Begin!